What is the Christmas Tribute Tree? 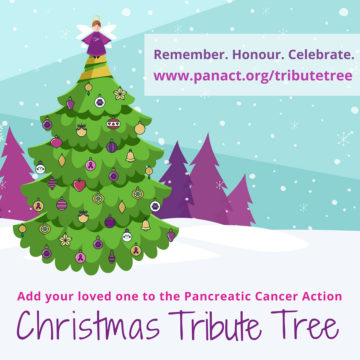 The PCA Christmas Tribute Tree is a meaningful, lasting, and personal way to remember, honour and celebrate those who have lost their lives to pancreatic cancer. It can also represent a symbol of hope to those who are currently fighting the disease. The tree is an online and interactive site where supporters can dedicate a bauble to a loved one which will be placed on the tree. As well as the name of your loved one you can also leave your name and a personal message. 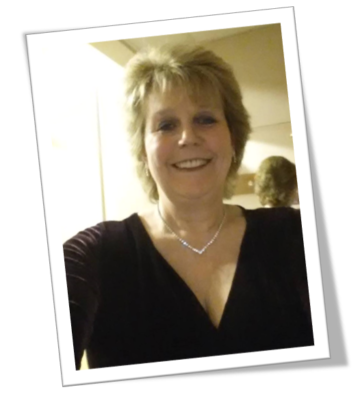 This is a free site to use, however, we would be extremely grateful for any donations to Pancreatic Cancer Action. There is an option to donate on the page and also to share on social media for your friends and family to see. To place a bauble on the tree and visit the site, click here. Every year we try and think of a campaign which can inspire and offer a sense of comfort to our supporters at this time of year. 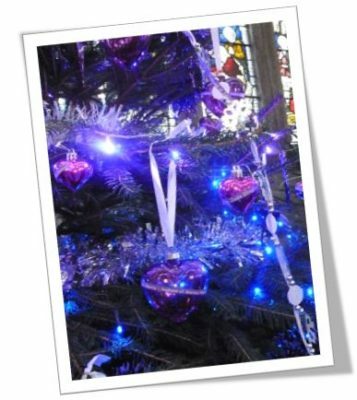 Last year our supporters made beautiful purple PCAngel decorations to honour a loved one and the year before that we had fun with our ‘Snow Globe Yourself’ social media campaign! “Our local church has had a Christmas Tree festival for many years now. When Paul was given his diagnosis naturally we were all devastated, but I found going into the church a great comfort. I used to visit the church and just sit quietly and one day I heard some of the ladies discussing the Christmas tree festival and I just knew I had to have one for Paul, and then it suddenly struck me, why not ask others if they would like to have their loved ones on the tree and then it could be a Memory Tree for PCA and would help raise awareness if nothing else. The first year I put a post in the FISPCA FB page, and the response was overwhelming. I was able to buy some purple heart decorations and I had over 100 people from all over the world, asking for a purple heart for their loved ones. I left a collection box and a few pens and wristbands and when the tree came down there was over £90. had over £100 and loads of wristbands, badges and pens sold and I got 3rd place as everyone gets to vote for their favourite tree. This year I started a Facebook page, the theme is butterflies and the names just keep coming in, there will be over 150 this year. Next Wednesday (29th November 2017) I will be dressing the tree and will of course take lots of photos and post them. It is an extremely emotional time, as each butterfly represents a loved one lost to this awful cancer. The tree festival gets over 12000 visitors every year so it is well worth doing even just to raise awareness. To thank Jean for inspiring us she will place the first bauble on the tree.